Make: Tutorial – Build a Retro Gaming Console with Raspberry Pi #piday #raspberrypi @Raspberry_Pi « Adafruit Industries – Makers, hackers, artists, designers and engineers! Nostalgic for Atari, Nintendo, Sega Genesis, and arcade games? With RetroPie, a software that organizes all your games into one easy-to-navigate place, a Raspberry Pi, and a USB gaming controller you can be playing the classics in less than an hour. The RetroPie software builds off of the Emulation Station front-end gaming software, which runs each separate gaming emulator, and adapts it to work on a Raspberry Pi. 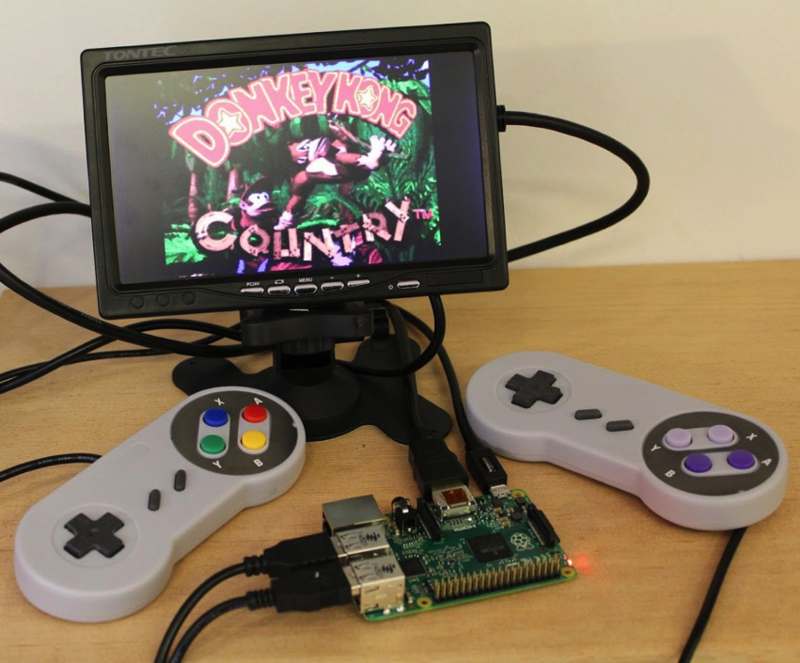 The software was put together by the guys at petRockBlog, and came out of the RetroPie Project, whose goal was to turn Raspberry Pi into a dedicated retro-gaming console. The software is free, but I suggest you donate if you enjoy the hard work they put into it. Once installed, you are going to realize that RetroPie only comes with a few games, and none of them are the ones you really wanted. Your next question is probably: Where do you get those ROMs? I can’t tell you for legal reasons, but I’m sure you know how to use Google. This is the finished system for the Raspberry Pi retro gaming console. It highlights how it can go from power-on to playing a game in under 30 seconds.